Looked like a debate over fishing rights. 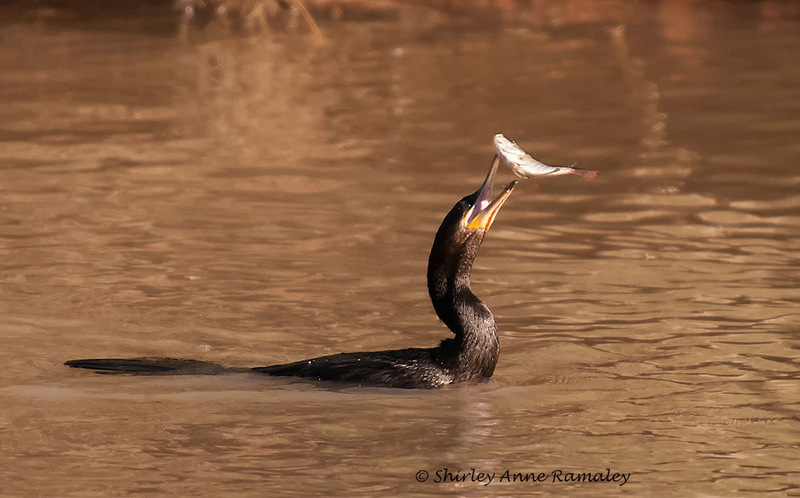 Cormorant tosses its catch around before finally swallowing it. 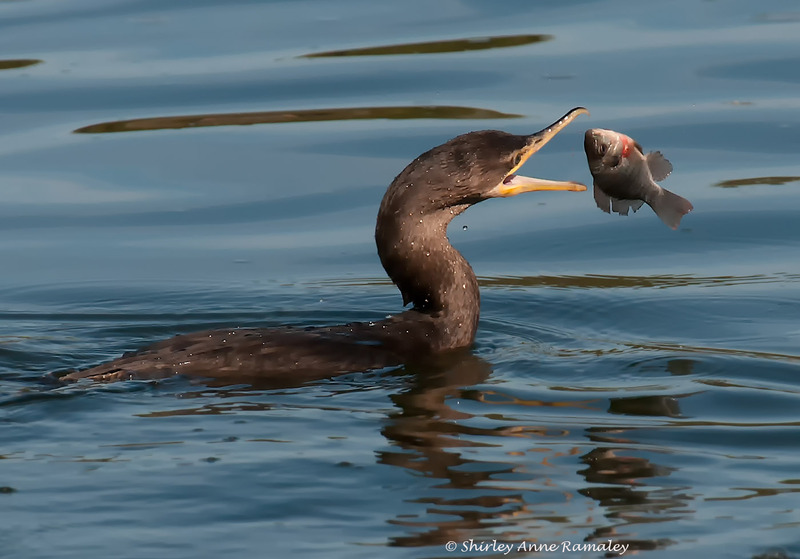 This Cormorant tossed this fish around for about 20 minutes as if playing with it. Other birds tried to take the fish but the Cormorant didn’t give it up. It swam out of sight, still tossing the fish, and I never did know if the Cormorant swallowed the fish. 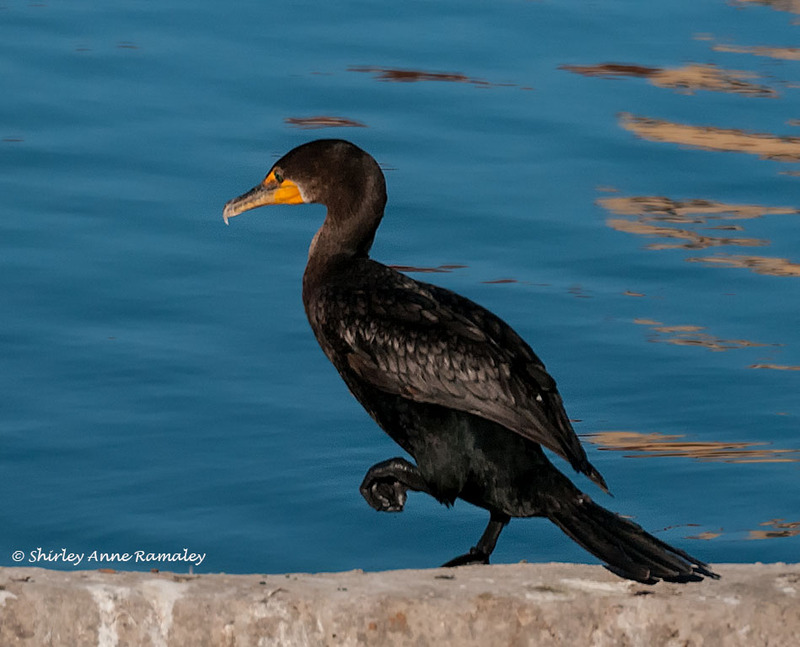 It’s always fun to watch and photo Cormorants. They are often so animated as they move around, and their eyes are so expressive, especially when the sun hits them. 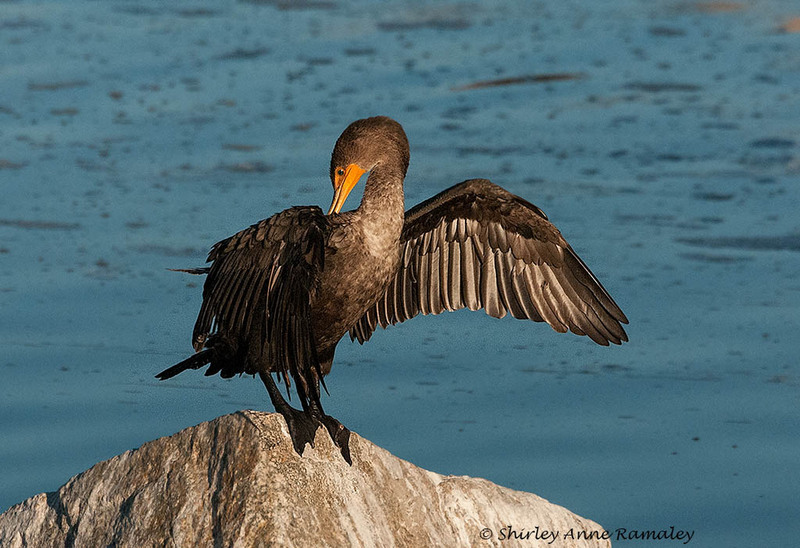 Cormorant. They look awkward on land, but not in the water.